Nearly two weeks after the PlayStation Network was compromised and taken down players still can’t play their online games and the rumours grow ever larger. Just what do we know about what happened, and more important than that when will we be able to play online again? Officially we know that pretty much every psn users details were stolen by a hacker who compromised Sonys security and Sony shut down psn as a result. While Sony believe no credit card details were stolen they have confirmed that it is possible they were and has assured customers that credit card data was properly encrypted, although it seems every other piece of information was not so well protected. With users around the world getting angry with Sony and its handling of the situation Sony now faces official investigation and possible fines from the United Kingdom information commissioners office who are looking into the situation and where fines for allowing data to be breached are up to half a million pounds. Not content with that the Canadian privacy commissioner is also investigating as is Taiwan and Sony could face a massive payout in fines should more countries follow suit. Sony sources suggest psn will be back online within a week, my own personal guess would be somewhere around the second or third of May. If unofficial sources are to be believed expect a firmware update to be released at the same time as it is claimed that part of the reason Sony took the network down is because a hack allows certain Ps3 consoles to download any premium psn content without paying for it and that a firmware update will be released to rectify the situation. So who did hack Sony? The big name suspects are the hacking group Anonymous, and now legendary hacker GeoHotz. But Anonymous have no history of stealing personal data although they have hacked Sony before and openly threatened them. And GeoHotz has denied any involvement, although it is unlikely either are responsible. The most likely scenario of what happened seems to be as follows…. A few days earlier Anonymous had threatened Sony, they may have hacked Sony in some small way similar to when they bought down Sony websites. At the same time the game Portal 2, which allows PC’s and PS3 consoles to connect with each other, was being prepared for. Allowing pc’s and consoles to interact opens up the possibility for new hacking methods and security threats and some sources claim that security patches to address that situation bought down the network and that Sony decided to keep it offline while they try to write a firmware update that will correct their mistake. As a big fan of the Android operating system, and a user of the programming language Basic4Android (B4A) it was only a matter of time before I wrote about it, so here it is…. B4A is a very easy to use programming language that helps you make your own applications, or apps, for an Android device. The language itself is reminiscent of the BASIC programming language, hence the name, and is very easy to pick up and learn. I have created gps, video streaming and even a magic eight ball simulator with it and you only have to go to the languages homepage or its forum to see examples of just what can be achieved with it. Having previously only used early forms of the Basic programming language (as a teenager I dabbled with BBC and Commodore Basic) and Googles App Inventor I found it easy to pick up and within a few minutes of trying it was already creating simple apps. Within a few days I was creating more complex apps. At this point I want to point out that B4A is NOT an interpreter, your app is a native android app which is converted from your basic code into a standalone Android application. That means you get the ease of use of the Basic programming language but the speed of a native Android app because you don’t have an interpreter in between Android and your app telling each how to interact. Whatever you create with it will work the way you want it to, it just won’t be as hard as developing with something like Eclipse. Part of the beauty of B4A isn’t just that it is easy to learn, but that it can use libraries created by its users to extend its functionality even further. A library is, in basic terms, a small collection of instructions that allow your app to do things that B4A on its own may not do. There are libraries to record or stream audio, to parse xml or Json data, to scan barcodes, to turn on or off gps remotely and much more. With Android becoming the most popular mobile operating system an easy way to develop apps for it makes good commercial sense and ofcourse good sense for programmers who would like an easy way to program for it. B4A has a very helpful user community, plenty of example code available and can be bought at a surprisingly low price which given how powerful and well featured it is I must admit did pleasantly surprise me. There is also a trial version available on its homepage that you can download to see what you think of it. And so that all important question – is it easy to use, and does it really work? The answer to both questions is a resounding yes. Do the apps work on the Android market place? Yes. Aside from the many more mainstream apps other programmers sell on the market made using B4A, I myself have some what could be called niche apps (10,000 downloads) on the market and I can confirm that they work as any Android app should. B4A created apps are just as good and quick as apps hand coded in Java, as you would expect, but with the added benefit of being quick and easy to develop and deploy. So if you have an Android device and fancy writing your own software for it, check out the website and give the trial version a go and make your own mind up. Poster for the movie "thirteen assassins"
The evil lord Naritsugu, brother of the all powerful Shogun, terrorises even the elite of Japanese society. An ageing samurai warrior , Shinzaemon, is honour bound to end the reign of terror, but with the golden age of the samurai behind them there are few up to the challenge of taking on Naritsugu and his elite guards. Thirteen men set a trap for the tyrant but he arrives with an entire army of men sworn to defend him with their lives. Now the thirteen men must face more than two hundred in an all out battle which could make or break Japans future. 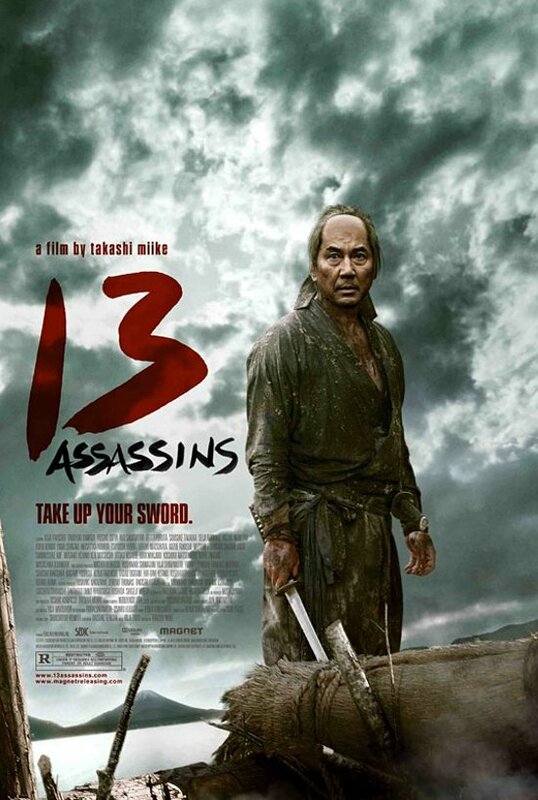 With a compelling story, convincing acting and a finale that any action film would be proud of thirteen assassins pulls you into the story early on by showing the callous evil nature of Naritsugu. The film is not non stop action or violence, it doesn’t rush telling its story but instead sets the scene for what will happen in its finale and why we should care about the outcome. It creates sympathy for the victims and a will to see the villain get what he deserves. The film culminates in the arrival of Naritsugu with an army of men and a long and bloody battle that will see many lose their lives. At just over two hours, and in Japanese with English subtitles, many English speaking viewers may be put off but if you enjoy films that tell a good story, have some great set pieces and have a satisfying conclusion then this is one of the better films out there and well worth two hours of any ones time. 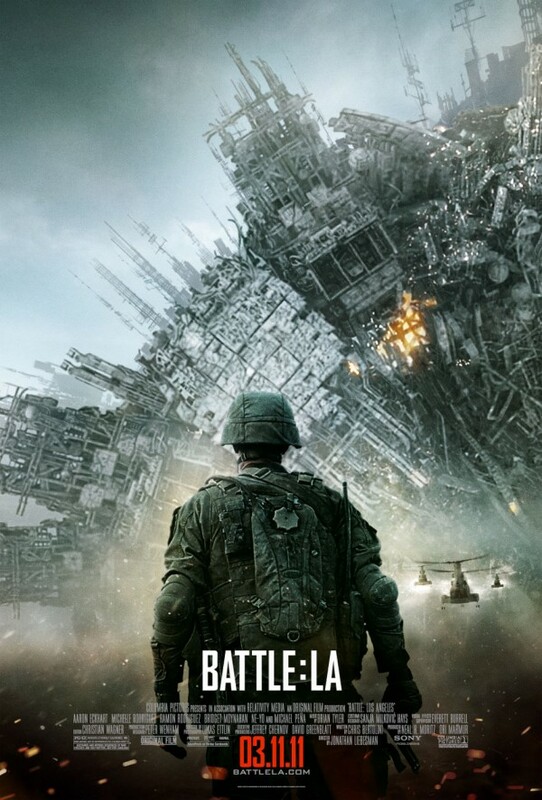 Aaron Eckhart steals the show as a Marine Staff sergeant, soon to be retired, who is called in to action one last time to defend America against attack from alien forces. Detailed to bring back civilians sheltering in a police station, before the area is levelled in a US counter strike, Eckhart and his fellow Marines soon come under attack from the enemy in this gung ho action adventure. The story is ok, it is at least better than Skyline (although Skyline had better aliens and a nice, if predictable, twist ending) but while it’s an enjoyable romp through action adventure territory the science fiction element is pretty much just an excuse for the action and never explains anything about the aliens. As a result this isn’t strictly a science fiction film, so don’t be misled into assuming it is, its an action film with a slim science fiction based premise. The film is enjoyable enough, it’s not really a memorable film you’ll watch more than once but it’s not a bad movie. Would I recommend it? Well, if it came on television or you were renting it then yes, but would I go out of my way to see it again? No. It’s problem is that we aren’t really engaged in caring for the characters, the film has a few glaring plot holes and the aliens don’t look as threatening as they are meant to be. I like Eckhart, and co star Michelle Rodriguez, but unfortunately even they can’t raise what should be an excellent movie to more than above average. The special effects are great, the idea of the film is a good one, but ultimately poorly developed characters and holes in the story make this a watchable rather than great movie. Once feared Russian prison fighter and Undisputed 2’s bad guy Boyka (Scott Adkins) is now a crippled has been. His spirit broken, his leg permanently damaged, he learns of a tournament, the first of its kind in which the best fighters from prisons around the world will compete for their freedom and for the title of ultimate fighter. As he struggles through the tournament Boyka finds an unlikely ally in the form of a fellow competitor but it soon becomes clear that only the winner gets out alive and that the favourite has more than a little extra help. Unsure how to proceed without causing the death of himself or his friend he must face his demons and earn his redemption, or die trying…. 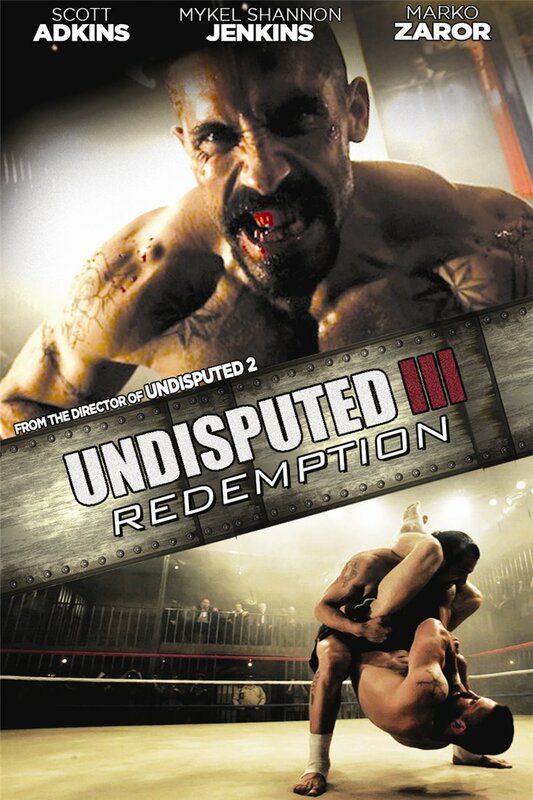 Undisputed 3 is the sequel to Undisputed 2. That film was better than the original and so the question has to be is this also better than the film that came before? And the answer is…it’s a completely different animal, but it’s as good as its predecessor. The first two films were primarily about a fallen hero fighting in a prison to earn his way out. 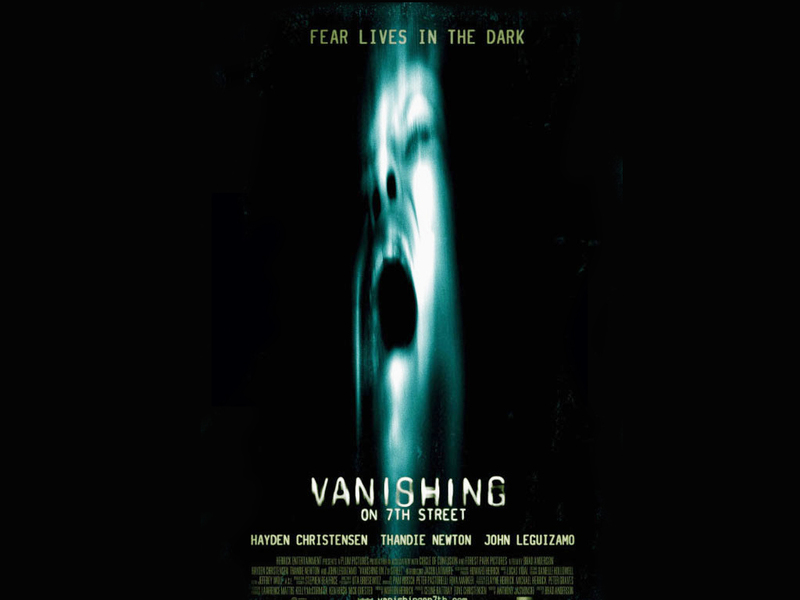 This is a bit of a departure as it follows the previous films bad guy as he tries to redeem himself and restore his reputation. Adkins is perfect as the Russian martial arts fighter Boyka, he uses his real life martial arts skills to good effect with some genuinely brilliant moments in the ring. He does carry the film with his fight scenes being among the best but Mykel Jenkins helps things along as the self confident American challenger “Turbo” who manages to get under Boykas skin and the relationship between the two provides much of the films more humorous moments. This isn’t a thinking action film, but then a good action film doesn’t really have to challenge the viewer. This isn’t an Oscar winner but again, action films rarely are and if you like martial arts, mma or films where the underdog comes god this should tick all the right boxes and is definitely worth a watch. Bad: some average acting, semi predictable plot. Welcome to the world of the dark hatter. Movie reviews, gadget news and more await….